NEW YORK, NY – March 5th, 2013 – Bullying has been a major problem in the fangirl community and actress Ashley Eckstein has been an advocate in the anti-bullying movement. Wanting to help fight this issue and many other concerns which directly affect fangirls, Eckstein, the voice of Ahsoka Tano on Star Wars: The Clone Wars, and founder of Her Universe™, a leading sci-fi apparel line for women, announced today a new monthly online column offering support and advice to female fans on matters that affect them. 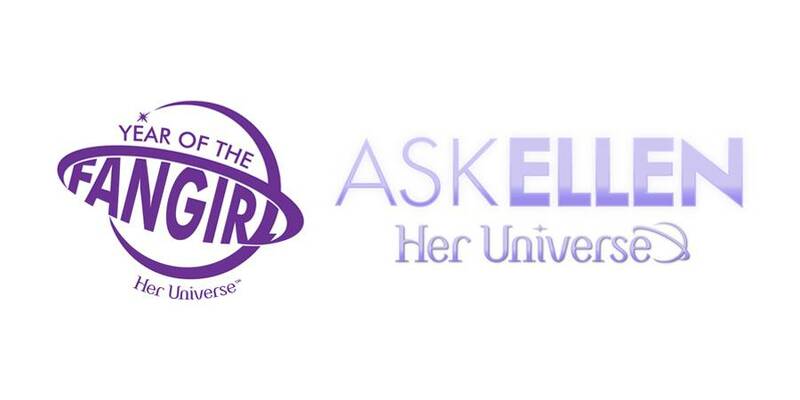 The new “Ask Ellen” column is written by Ellen Connell and will run throughout the month on the Her Universe blog at www.HerUniverse.com. “Ask Ellen” will be an ongoing sounding board addressing everyday issues that affect the lives of fangirls and offering possible solutions to these problems. Ellen Connell has a Psy.D in Clinical Psychology and is working towards becoming licensed as a Psychologist in California. Before returning to graduate school for her degree, she worked in the animated television and film industry for several years. Two of those years, she worked at Lucasfilm Animation as a Script and Casting Assistant Production Manager for the first season of Star Wars: The Clone Wars, and met Eckstein. Although Connell loved working on The Clone Wars, she also felt called toward another passion—helping people directly as a therapist. Having grown up as a theatre geek who loved fantasy, Connell didn’t always fit in with the other kids in her class, and she remembers feeling the loneliness that came from thinking that she didn’t belong. After learning to improve her self-esteem as an adult, she felt a desire to help people, especially girls, who struggle to feel better about themselves. Connell left Lucasfilm to attend graduate school, training in psychology, and is currently working as a psychotherapist in San Diego. The “Ask Ellen” column is part of a special year-long campaign, “Year of the Fangirl,” which will highlight and recognize one of the fastest growing segments of the sci-fi/fantasy/pop culture audience…women. Every day a different fangirl will be spotlighted on HerUniverse.com, to showcase the community’s diversity, dreams and interests. The “Year of the Fangirl” campaign officially launched February 25th; however, additional elements and opportunities for female fans will be added throughout the year including a very special event in coordination with San Diego Comic Con. More information will follow soon. 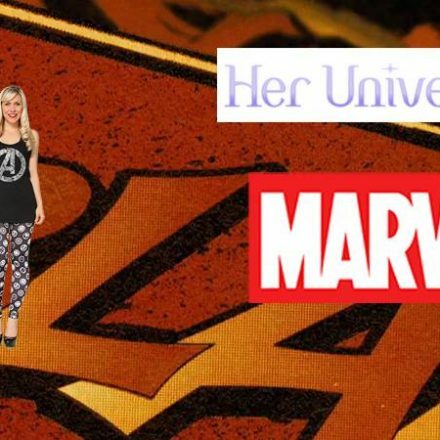 Her Universe was launched in 2009 by actress and entrepreneur Ashley Eckstein, and her partner, The Araca Group, known as one of the most innovative theatrical production and merchandise companies in the world. Her Universe was created to directly address the expanding market of female fans by entering into its first agreement with Lucas Licensing to develop and produce a line of female-centered Star Wars apparel and accessories. 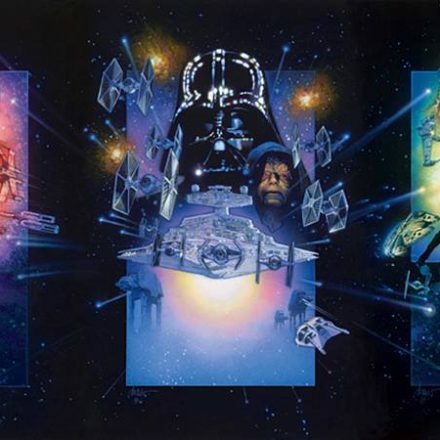 The success of that line was followed up with a collection for the Syfy network including such shows as Battlestar Galactica and with BBC Worldwide for Doctor Who and with CBS Consumer Products for Star Trek. You can learn more about Her Universe and purchase the current line of fangirl apparel and accessories by going to www.heruniverse.com and by following Eckstein on Facebook (facebook.com/HerUniverse) and Twitter (twitter.com/HerUniverse). Ellen Connell has a doctorate in Clinical Psychology and is working towards becoming licensed as a Psychologist in California. She enjoys helping fellow geeks feel confident and more at ease, and she is happy to offer support and information to the Her Universe community. Follow her on Twitter @DrEllenConnell.